Ominous and premonitory. You can see a scary future and shy away it or you can see it as a challenge and head towards it with bravery. It’s a matter of choice. Starting with the album cover alone, which features a couple heading courageously towards a forest fire, Ladytron’s first album in eight years tackles the future rather than running away from it. Discussed with thought-provoking lyrics that are both surreal and down-to-earth, their idiosyncratic style remains intact. The Liverpool-based synth-pop quartet – whom are still made up of the same line up since 1999 (Scot Helen Marnie, Bulgarian Mira Aroyo and English duo Daniel Hunt and Reuben Wu) – have released three singles of their latest self titled album: ‘The Animals’, ‘The Island’ and ‘Far From Home’. These exciting energetic tracks sound quintessentially like Ladytron and have bold lyrics. The new romantic stylised ‘The Animals’ features the no-holding-back atheistic lines: “There’s no law. There’s no God. There’s no harm. There’s no love. We are more like you, than the ones you knew.” It comments on social prejudice against minority groups. It’s one of many tracks on this album that uses the technique of backing harmonies effectively. ‘The Island’ is a criticism of how we treat our planet calling humans “savages” and “calculated architects” and is a call for unity for people passionate about protecting the world. While ‘Far from Home’ sounds like it’s set further in the future. In the remains of an apocalypse,” the west is where we’ll rise. Just like the smoke as it starts to hurt our eyes. Ladytron’s lyrics always tend to feature fantastical elements too with ‘Deadzone’ being a worthy mention this time. It is unlikely to refer to the Stephen King novel that was adapted to the big screen by David Cronenberg but its incredibly intriguing lyrics seem to play with similar themes to that story, such as premonition and supernatural abilities caused by an accident. In fact listening to the lyrics envision a typical Cronenberg film from the 80’s with “I swear I died and came back to life, maybe as someone else” and “I can’t hold back, my thoughts are aching/Visions of my mind. My dreams are an omen,” being evocative of this indeed. Precognition is also theme carried through the distorted electronic rock ‘Paper Highways’ and unsettling ‘Horrorscope’. These are two of the most playful and clever songs on the record because the secondary vocalist Mira Ayoyo – whom takes over from more prominent lead singer Helen Marie and usually fronts the more experimental tracks on Ladytron records – cleverly pairs gloomy industrial post-punk energy with a style of singing that resembles a playground nursery rhyme. ‘Horrorscope in particular has a sinister chaos that imagines a circus inside a child’s nightmare. Nonetheless, the record ends on a high with ‘The Mountain’ (another great use of the overlapped harmonies, a bit Enya-like in this instance) and ‘Tomorrow Is Another Day’ being two ethereal and spacious tracks that could have been included on the previous record Gravity The Seducer for their shiny, patient and atmosphere-setting credentials. The former is about division between societies and the latter appears to be about a personal account of being a carer for a fading loved one. 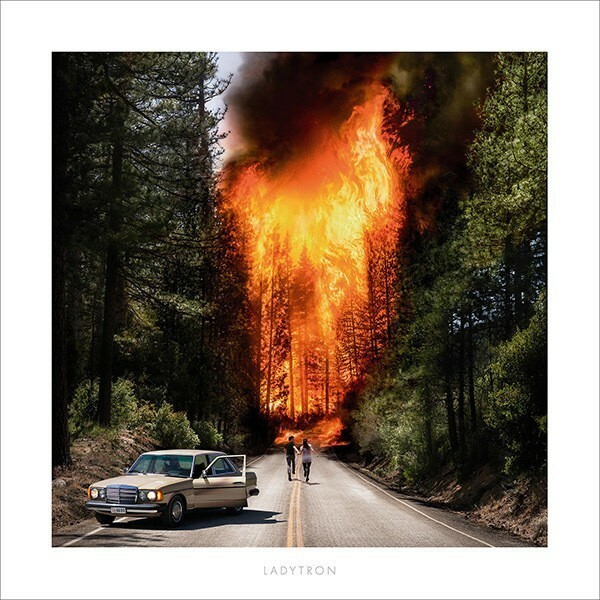 It’s great to have Ladytron back after such a long hiatus and this record shows that both their powerful lyrics and their skill at creating mystical sci-fi soundscapes are abilities they can still showcase. I can safely predict without an ominous thought that this album will be a comeback success. Ladytron is released on 15th February through !K7. Sadly the rating is too low compared to the actual review. This album deserved better.